The expansion of spying capabilities and national cooperation on surveillance indicates the underlying deceptions and barbarity of the capitalist powers. All kinds of communication technologies, social media, emails, mobile phone records – all are considered fair game. Glenn Greenwald, the perceptive American journalist and social commentator, has been following this issue closely. He has worked with the whistle-blower Edward Snowden to bring the details of the spying network to light. The efforts of Greenwald and Snowden in meticulously documenting the scope and mass of NSA data collection is truly a public service, throwing light on an otherwise dark corner of corporate-political power structures. For instance, in one month alone, the NSA collected 70 million digital communications in France. That was over the period December 2012 to January 2013. The NSA also collected the data from 60 million phone calls in Spain. “Comprehensive Cooperation,” which includes Britain, Australia, Canada and New Zealand; “Focused Cooperation,” which includes 19 countries, most of them in Europe, plus Japan and South Korea; “Limited cooperation,” which includes France, Israel, India and Pakistan, among plenty of others; and “Exceptional Cooperation,” which includes countries the U.S. considers to be hostile. So Australia maintains comprehensive cooperation with the United States in matters of spying, and is more valued in terms of its surveillance importance than Israel – makes one proud to be an Australian. The reverberations of these revelations are truly staggering, and warrant serious consideration. However, there is one consequence that the US and Britain did not foresee, but one that has far-reaching importance. It is a consequence that has strong implications for the countries of the Arabic-speaking and Muslim-majority countries. Every year, on November 4, the Iranian government commemorates the 1979 seizure of the US embassy. The American embassy is today a museum, hosting exhibits that celebrate the Iranian revolution and the dramatic hostage-taking carried out by young Iranian revolutionaries at the time. The storming of the US embassy was part of the ongoing revolutionary process, and is until today a sore point in US-Iranian relations. 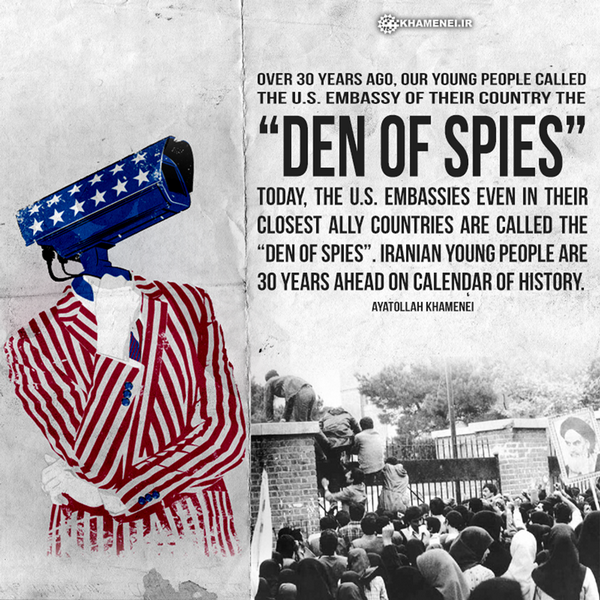 The embassy seizure, referred to in Iran as “Conquest of the American Spy Den”, has been justified by the Iranian government on the grounds that the US embassy was a centre of espionage activity. This year, on November 4, the Iranian regime stated that yes, we have been vindicated – the American embassies around the world are nests of spies. In an article for The Diplomat online magazine, which covers foreign affairs, officials from the Iranian government stated that the takeover of the US embassy and hostage-taking was fully justified, and the current NSA revelations about the extent of US-British spying activity provide the corroborative evidence for the regime’s claim – that the US embassy was a nest of spies. November 4, celebrated in Iran as the ‘National Day of Campaign against Global Arrogance’, provided the perfect opportunity for the Iranian government to express its vindication. The Tehran regime is now feeling fully justified that it did the right thing in 1979, seizing the US embassy and smashing what turned out to be den of spies. Iranians mark the November 4 commemoration with big, nationalistic rallies, denouncing the United States, chanting ‘Death to America’, and rallying support for the regime. This year, these rallies had added significance because of the restarted negotiations between the newly-elected Iranian President Hassan Rouhani over the nuclear weapons issue. The new Iranian administration has indicated its willingness to talk, which has always been the position of Tehran. But the November 4 rallies were meant to bolster support for the regime, and appear to give it domestic strength and popularity. Supreme Leader Ayatollah Ali Khamenei stated that the negotiators who talk to the United States are by no means compromisers. He elaborated that speaking with the official enemy is difficult, and so they deserve the full support of the population. Most of the corporate media’s coverage of Iranian politics simplistically divides the population into ‘hardliners’ and ‘moderates’. Usually an Iranian is designated ‘moderate’ because they are willing to accommodate US interests, particularly US business interests. Pro-western candidates are described as ‘moderate’, and therefore reasonable; opposition to US policies in the region is taken as an indication of a ‘hardliner’ and therefore someone irrational and closed to negotiation. Make no mistake – the Iranian regime is a bourgeois-clerical dictatorship, where the imposition of religion is carried out harshly, where labour activists and dissidents are imprisoned and tortured, where the government still executes its opponents. Iranian trade unionist Reza Shahabi, imprisoned in the notorious Evin complex since June 2010, and now requires urgent medical attention. He was an organiser for the bus workers in the city of Tehran, and has been convicted of political offences. The Iranian government is definitely no friend of the workers. However, we must recognise that the United States and Britain, using their considerable resources, intend to return the nation of Iran to a semi-colonial, dependent status where the country’s resources are open to exploitation by foreign multinational capital. Indeed, the imperialist countries wish to restore Iran to the economic and political situation that obtained before the 1979 revolution, when Iran was ruled by the despotic Shah and the small, ultra-wealthy clique of bankers, financiers, military generals and police chiefs that ran the country as a personal fiefdom, allowing the major multinational corporations to plunder the nation’s main resource, oil and natural gas. Indeed, earlier in 2013, the Iranians celebrated another political anniversary, one that casts a long shadow over American-Iranian relations. It was an event that shaped Iranian politics for decades, and influenced the politics of the entire Arab and Islamic worlds. August 2013 was the sixtieth anniversary of the American and British sponsored coup d’etat against the democratically elected government of Mohammed Mossadegh. The latter, representing a coalition of nationalist, secular, religious and bourgeois forces, attempted to nationalise the main Anglo-Iranian Oil Company, the forerunner of British Petroleum. The coup, orchestrated by the Americans and British, toppled the nationalist Mossadegh and installed the pro-western Shah of Iran. Under the royalist dictatorship, the oil and natural gas resources were opened up to private corporations, the regime launched a massive crackdown on dissent, and the monarchy ruled with an iron fist. The Iranian secret police, trained by the Americans and British, tortured and repressed all opposition to the Shah’s rule. The anti-American resentment generated by this coup reverberates until today in Iranian politics. Ten years ago, the independent media channel Democracy Now examined the 1953 coup on its fiftieth anniversary. US involvement was not officially acknowledged until August 2013, when declassified documents from the CIA archives, maintained by the George Washington University, conclusively demonstrated that the US with the connivance of Britain, organised the overthrow, sponsoring pro-monarchist and anti-Mossadegh forces inside Iran, and eventually supported a general as the preferred leader of the country. Interestingly, the general considered acceptable as the new leader of Iran, Fazlollah Zahedi, was once arrested and imprisoned by the British authorities in Iran during the World War Two because of his pro-Nazi sympathies. Mossadegh was a nationalist, who united various political forces behind him. While anti-Communist, he allowed the Iranian communist party, the Tudeh, to organise openly and conduct their political activities free from state harassment. He believed that the economy was being milked by Britain, and subsequently the United States, for which there was one remedy – Iranian control of the massive oil and natural gas resources. By controlling their main national resource, Mossadegh argued that Iran could manage its own affairs free from foreign interference. The US and Britain responded by interfering in the domestic affairs of Iran, paying sympathetic generals and police officers, organising disturbances and riots by pro-monarchist thugs and criminals, arranging for hostile anti-Mossadegh articles to appear in media outlets, implementing an oil embargo to cripple the economy and impoverish the population, and creating a political climate of tension and instability conducive to a coup d’etat. The overthrow of Mossadegh, organised by Britain initially but then taken over by the American Central Intelligence Agency (CIA), brought to power a royalist dictatorship that was fully compliant with US and British business interests. The 1953 Iranian regime change formed the template for subsequent American covert interventions in the Arab and Islamic countries. Once the Shah was in place, the oil embargo was lifted, the economy returned to a semblance of normality, and the plans for oil nationalisation were cancelled. The Shah clamped down on all dissent, banning Mossadegh’s formation, the National Front, arresting and killing members of the Iranian Communist Tudeh party, and turning the Iranian parliament, the Majlis, into a largely compliant instrument of the absolutist monarchy. The Iranian secret police formed by the Shah, SAVAK, earned a reputation for brutality and savage torture. The royalist regime established close and enduring relations with Israel, and the two states formed friendly ties for the duration of the Shah’s reign. It is hard to imagine today, but Israel and Iran were once on very cordial terms, which was part of the Shah’s pro-western orientation. The Iran-Israel alliance consisted of trade, intelligence-gathering and sharing, armaments development, and with Turkey involved, a trilateral arrangement on military and intelligence cooperation. Before the Shah’s royalist regime was overthrown in 1979, thousands of Israeli businesspeople and diplomats travelled to Iran to find fortune and hospitality. 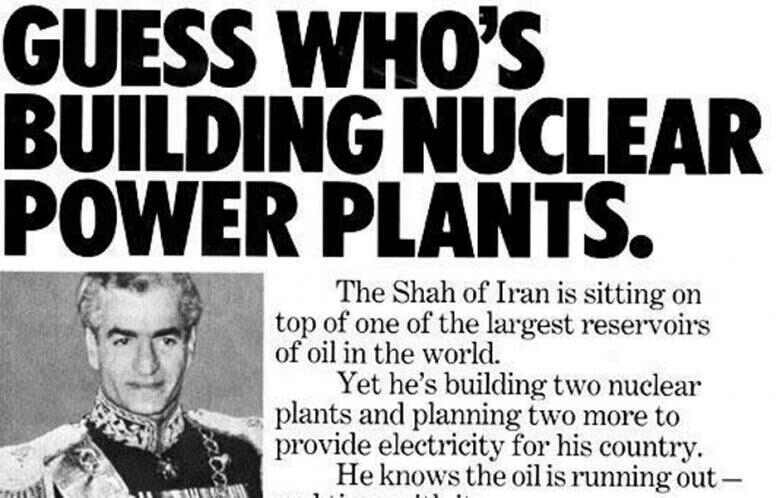 Interestingly, the Shah’s regime aggressively pursued the development of nuclear power, a policy fully supported by the United States at the time. In the 1970s, the Shah declared that Iran would develop an extensive network of nuclear power plants, and that ‘all options were on the table’, including the eventual development of nuclear weapons. 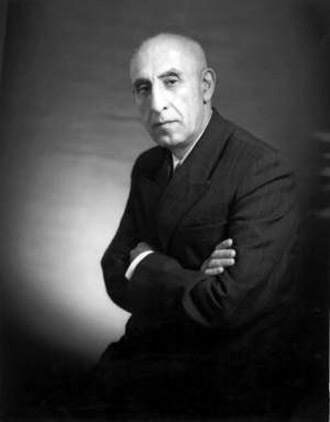 In documents that are also available from the George Washington University archives, the Shah’s government argued for the development of nuclear technology on the basis of national rights. 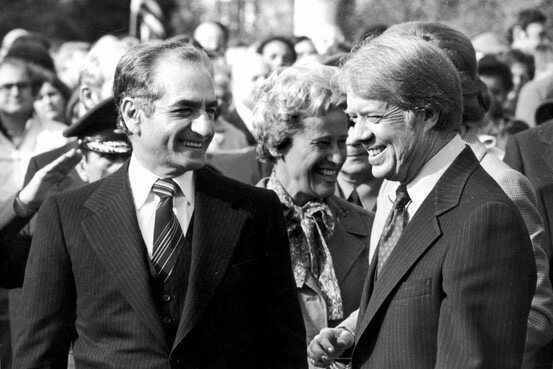 The Shah contended that Iran was a regional power, and that Iran should be able to pursue all technologies that would make it stronger, including nuclear capability. These arguments are being heard again from the governing mullahs and politicians in Tehran today. Well, Iran is still developing new military technology; the Iranian defence ministry announced the successful test launch of a new surface-to-air missile, capable of striking down cruise missiles, drones and bombers. With the Obama administration’s escalation of Predator drone strikes across the world, it is no wonder that the Tehran regime has responded with new technology designed to counter the drone threat. Unlike the positive reaction to the former Shah’s embrace of nuclear technology, the US has received the news of the latest Iranian military developments with icy hostility.